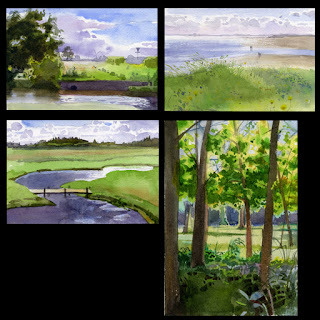 These are some very quick watercolor postcard sketches from my recent trip to Europe with the family. We went to Denmark, Greece, Amsterdam, and Turkey. These were painted in Denmark. Watercolor is a new medium for me so I'm still trying to get a handle on it. But so much easier to setup and transport than oils.